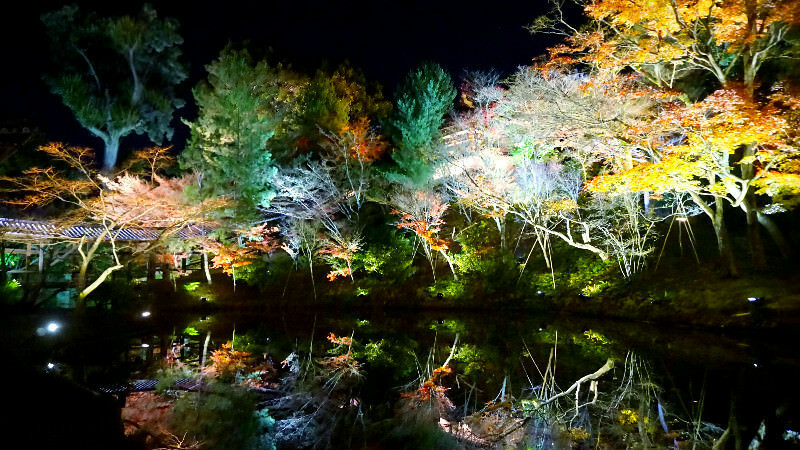 Top 4 mysterious night illumination events in Kyoto in autumn! 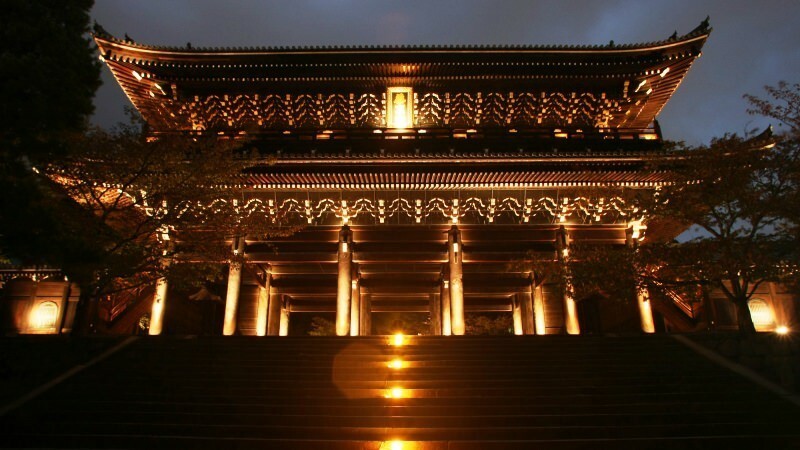 Four different, but all mysterious, night illumination events held at Kyoto’s temples. Most of the temples and shrines in Kyoto close early, so you don’t get to go to them at night. But recently many of them hold illumination events at night, and the historic buildings and gardens are illuminated, and you get to see them in a completely new light. 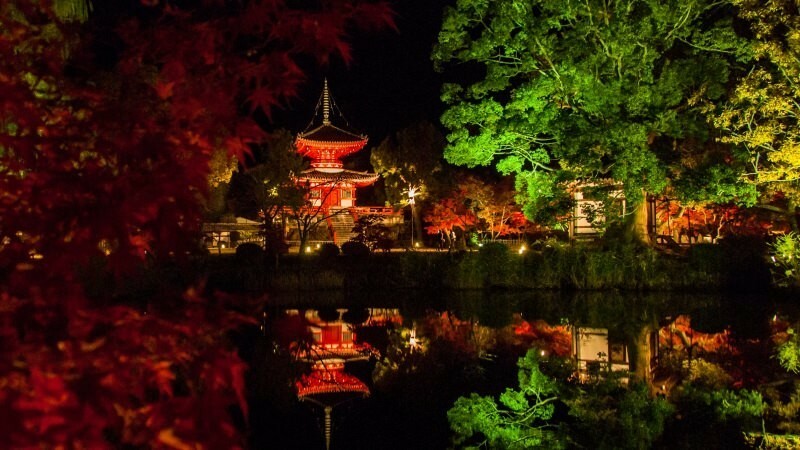 Many of these illumination events are held during the autumn leaves and cherry blossom seasons, so you get to see the temples, shrines, and gardens at their absolute best. So, in this article you can find out about the best four night illumination events that take place in autumn! Kodai-ji Temple is a popular sightseeing spot in the Higashiyama area of Kyoto. Special Night Entrance events are held at the temple every spring, summer, and autumn, and in spring the cherry blossoms are illuminated, while in autumn the trees planted around the pond of the temple are illuminated. What makes their illumination event special is that they hold a different 3D projection mapping show every year. The temple buildings and garden are used as a canvas to paint a mysterious, otherworldly story. Kiyomizu Temple is maybe the most famous temple in Kyoto. 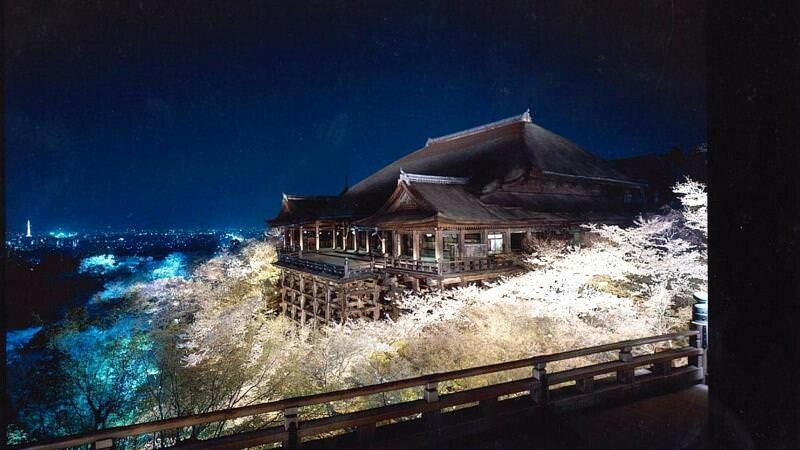 At the temple, they hold Special Night Entrance events every spring, summer, and autumn. The spring and autumn events are especially popular, and people from all over the world flock to the temple at night to see it illuminated. Kiyomizu Temple is beautiful during the day, but the Niomon Gate and three-storied pagoda illuminated, and the night-view you get to see from the stage of Kiyomizu is something you can only experience at night. During the night entrance period the souvenir shops along the path to the temple are also open until late and the atmosphere around the temple almost resembles that of a festival. This temple is also in the Higashiyama area, and it is called Chion-in. 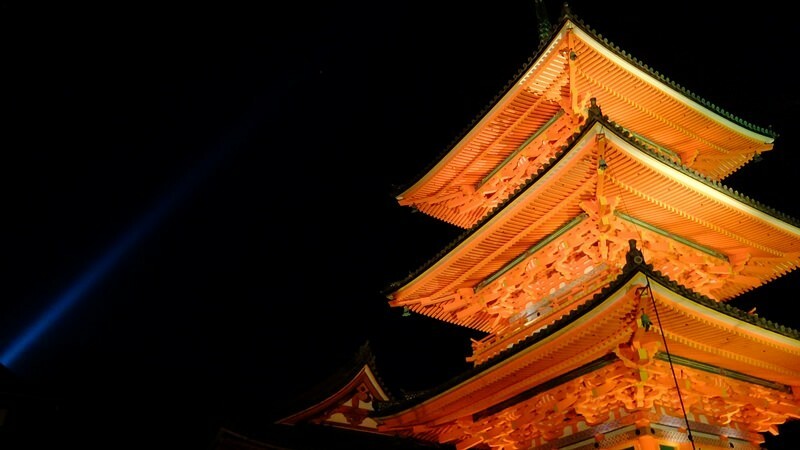 Night illumination events are held twice a year, in spring and autumn, and during these events the garden and the huge Sanmon Gate of the temple are both illuminated. In autumn you get to enjoy both the Japanese garden Yuzen-en, which is sometimes said to be one of the best gardens built in the Showa period, and the beautiful autumn leaves. Many other temples in the Higashiyama area also hold illumination events around the same time, so you could go see them too, and really enjoy the night-temple-life of Kyoto. 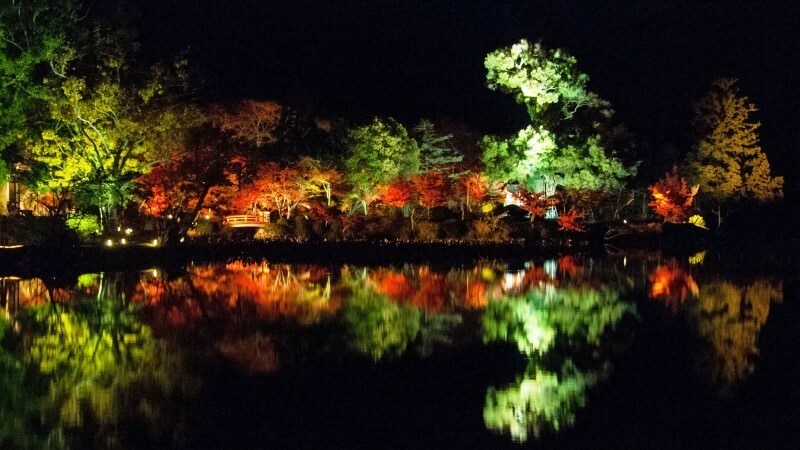 Daikaku-ji Temple in the Arashiyama area holds a night illumination event in autumn called “Shinku no Mizukagami.” Hojochi and Osawa-no-ike ponds are both lined by maple trees and their autumn leaves. The sight of the crimson autumn leaves being reflected on the surface of the pond makes you feel mysterious. The name “Shinku no Mizukagami” really fits this event; it means a crimson water mirror. I hope you will take some time to go see this event if you happen to be in Kyoto during it. 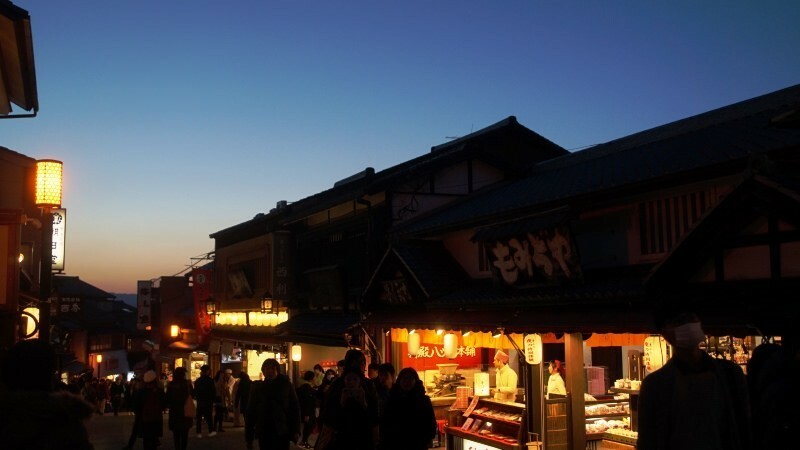 How about going out into the night of Kyoto in autumn, and making some wonderful memories. All of these events are popular and great, so I wish you will take part in them. Ume Plum Blossom Garden at the Kitano Tenmangu Shrine! 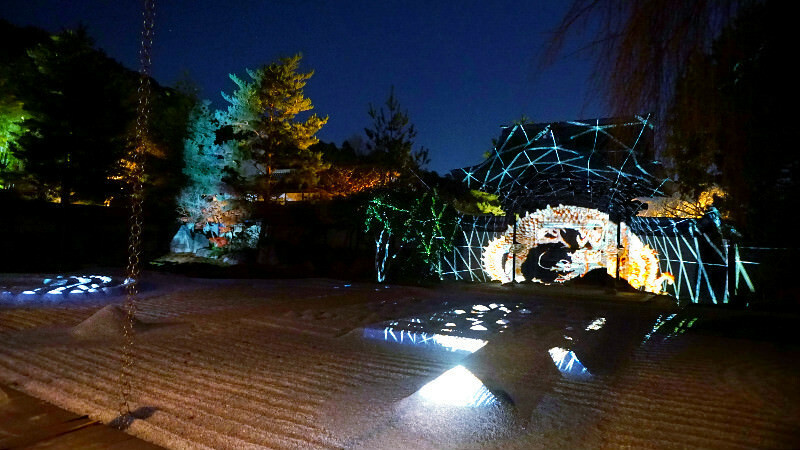 Top 5 most romantic winter illumination events in Kyoto! Chanel Matsuri Red Celebration at Rokkaku-do Temple! 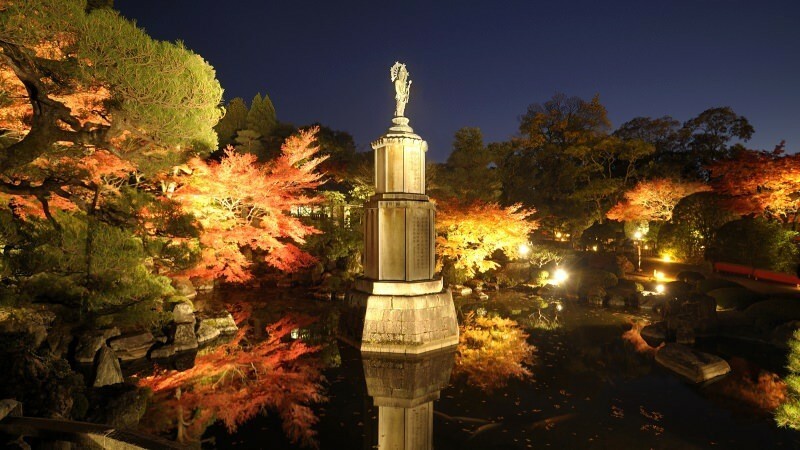 Recommended autumn events in Kyoto!